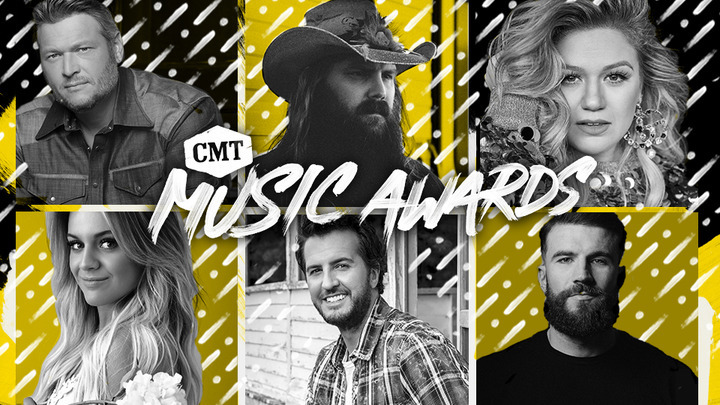 NASHVILLE – May 23, 2018 – Fresh off announcing that country super-group Little Big Town will host the “2018 CMT Music Awards,” CMT today revealed that Blake Shelton, Chris Stapleton, Kelly Clarkson, Kelsea Ballerini, Luke Bryan and Sam Hunt will perform at this year’s show, premiering LIVE from Nashville’s Bridgestone Arena on Wednesday, June 6th at 8 pm ET/ PT. Additional performers will be announced soon. The “2018 CMT Music Awards” nominations announcement made history last week, as pop sensations Bebe Rexha, with her record-breaking, chart-topping collaboration “Meant to Be" with Florida Georgia Line, and Justin Timberlake, with “Say Something” featuring Chris Stapleton, received first time nods for the highly coveted “Video of the Year.” The additional lineup of country stars vying for the title include Blake Shelton, Brett Young, Brothers Osborne, Carrie Underwood featuring Ludacris, Dan + Shay, Jason Aldean, Kane Brown featuring Lauren Alaina, Kelsea Ballerini, Luke Combs and Thomas Rhett. Up for four nominations each, Carrie Underwood (who also currently holds the title of most “CMT Music Awards” wins), Florida Georgia Line and Jason Aldean are tied for most nods.